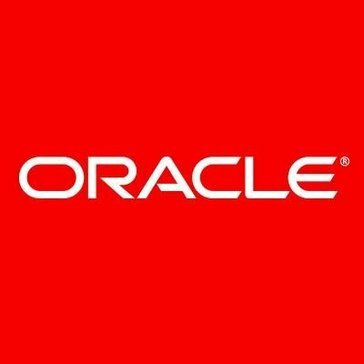 Work for Oracle IT Service Management Suite? It allowed us to do many functions and have a ticket system so that people could contact us for issues regarding audit coding at a university. We are able to identify and record issues related to coding and see where changes may have been made. It helped us to realize how important communication and documentation is on our team. "Perfect for leveraging Management and Business Intelligence capabilities"
Oracle ITSM provies the best solutions across the vast portfolio like Oracle BI and E business suite tailored to fit my need. Using ITIL Implementations I can quickly address pain points and business needs to build a momentum to offer best services to my clients. was working on a project with Lufthansa airlines using Oracle ITSM. Had to deal with incident monitoring/ Alering and Diagnostics. ITSM really makes it easy for me and my team to coordinate with each other in regards to handling the client incidents. "Peoplesoft is a very useful tool in the workplace." What I like best about Oracle is that you can access so many important resources using this tool, such as payroll, personal information and tax information. What I dislike about the tool is that is has looked the same for so long, so it looks a it outdated. Employees are able to easily access their payroll and tax information without having to go through HR or Payroll to do so. Oracle IT Service Management Suite's best feature is its versatility and its ability to help us adapt quickly to changing conditions within the market. We use this software for a wide variety of projects and it has boosted productivity by at least 50%. The biggest downside to Oracle IT Service Management Suite is the amount of time required to train new hires to use it to its full potential. We must spend several weeks with each new hire training them to use the software, which is then wasted man hours if they choose to leave the company. It has enabled us to gain consistent, proactive management of our IT environment. "Oracle Eloqua - get the most from your marketing automaton." Easy organaise and keep track of leads, marketing campaign and effectiveness. The insight se too. Could be improved. The platform interface could be improved as well. The big enterprises companies which can afford to invest in multiple Oracle products should use it. Eloqua is not recommended for small companies, because is quite expensive product. Oracle Eloqua is the best tool if you want to automate your marketing efforts, especially across the different channels. To analysing the effectiveness of your marketing campaign and to use that information to make necessary changes to increase their impact. Taking into account that his main rival SQL server has a lot of limitations, I would say that Oracle is the only option if you have to manage big databases with high availability and good performance. Also for Big Data projects I would not consider more options, and I would go for Oracle Exadata. Well, it is not a drawback itself but Oracle is big, huge... So be able to control all its areas it requires a lot of effort. Big projects require big and trustable solutions. Like I said, for big Data projects is the best option. Personally I still don't trust 100% in no-sql solutions, so Oracle is a must. Service Management is extremely adaptable. It works well in environments like ours which contain decentralized IT contacts.It control and monitor your entire change process also helps to guide a company in proper change management practices. can have more support features. It has issue was the integration with Rally software that caused some redundancies for release management, QA and the developers. Remedy ITSM is well suited in any business that is trying to help manage their ITIL processes , also good for multiple uses beyond tickets - CMDB, Knowledge Base and Change Management. We can use Oracle Management suite for database use purposes and it is very to run queries and it gives back the result in less amount of time as compared to SQL Server. Nothing as such to dislike as it is easy to use. They should give users enough trial period, so that they can learn all of its features and get used to it. We are creating complex queries to get the results for business folks, in order to help them view the things which is going around the company. The flexibility to manage and track services. Do not like that It is based on the Siebel HelpDesk. Oracle IT Service Management Suite will help you to stabilize your IT processes and you will become a better business partner. Oracle IT Service Management Suite is a very mature, capable, scalable and customizable tool that can be readily adapted to suit just about any organization's needs and requirements. We build a licensing and vehicle management system for the Australian Government. Customizing was really easy and had minimum compatibility issues. "I love how it streamlines applications. " How it streamlines our business applications as well when a problem arises it finds it and fixes it or gives solutions on how to fix it. nothing at all. Its a wonderful program that helps our IT division out with any problems. works streamlines products. Finds problems and solutions. How to get everyone on the same page, how to streamline everyones tablet and phones, and able to not have any issues arise on the job sites. This program finds and fixes any problems within IT division. "Awesome program when working with thousands of records"
N/A the system is pretty accurate. I wouldn't change a thing about it. Organizing data from different sources. It takes thousands of records and sorts them based on a threshold. "Best in class support and ability to scale"
Best part about the oracle solution is the team of support staff who have great knowledge about the product and their nature to help out. Very specialized and catered to more particular needs of the business, unsuitable of you need more customized product for your business need. Have a scalable solution for the growing F&B product of the company as the clients increase the software should be able to handle more traffic. "Oracle IT Service Mgt Review"
it's hard to manage the back end system. Evaluate as many tools as you can then choose the one that fits you best. We were not able to see and manage the trouble tickets or get them assigned expeditiously. This helped. "concepts of Service Desk are complete"
The services like incident management and configuration management are fulfilled and work made easy. Importantly it is user friendly with simple concepts. Sometimes I feel the performance is not good. It hangs when I am looking for any important file. It is user friendly and very easy to use. Sometimes it runs a little slower than I would like. It is a good software, but not perfect. Try others before you buy would be my advice. Making time more effective for us and for our clients. "One of the finest software to query the tables and data bases"
I can get maximum rows in query fired each time. Some time Oracle server will be down some times. I'm resolving Insurance business problems using Oracle and it is used for my day to day job activity. "Oracle IT Service Management Review"
I like how the services are integrated and is a very good tool for the company to use. The CRM platform that Oracle provides through this tool is valuable. I think the processes can be improved. As all software, there is room for improvement. It has helped and supported most of the processes we have across the company. It is very customizable and has a lot of features. It has too many features that makes it overkill. It is a good product. Better than SAP (in my opinion). It is pretty easy to use , lots of online help if you need it and integrates with Microsoft applications. It can be a little clunky at times because it doesn't work well with third party programs. It is a good program, just make sure you are wanting to use it with Microsoft programs and not third party ones. I find Oracle in general to be amazing! The support when confronted with any issues or concerns is great and the online forums are great for when you may want to to explore what other companies are engaging in. At times it can be cumbersome to navigate for front end users. We are stream lining our online efile process much easier with this product. "Oracle 9i data loss prevention"
I have not much experience with it but used long time ago while in college and helped us in managing the resources which in turn helps in meeting the business results on time and with less effort. I don't use all of oracle IT business suite. I us the oracle single sign on the most. The IT SMS makes inputting tickets a breeze, allowing for quick entry without needing to call everything in. The customer support from oracle is practically non-existent. Tickets take days or weeks for a response, and communication amongst the oracle team is beyond awful. Reducing time spent on the phone and workload by centralizing the ticketing system. "Bring IT and Business together"
Integration of IT management tool wirh business systems and processes has more higher higher objective. NA as such.. I have limited usage knowledge on this. CRM platform. Has consistent, proactive management of IT landscape. Simplicity of the software. Easy to track orders and profit . The training was long and confusing . Not necessary for my job. Option to use it with OEM . Consistent & Proactive Approach is used here. patience to learning the application is key! "awesome performance and great OLTP database"
Learning about Oracle IT Service Management Suite? * We monitor all Oracle IT Service Management Suite reviews to prevent fraudulent reviews and keep review quality high. We do not post reviews by company employees or direct competitors. Validated reviews require the user to submit a screenshot of the product containing their user ID, in order to verify a user is an actual user of the product. Hi there! Are you looking to implement a solution like Oracle ITSM?